Materials: Brass parts, iron parts, chrome parts. Cast iron counterweight inside the base. 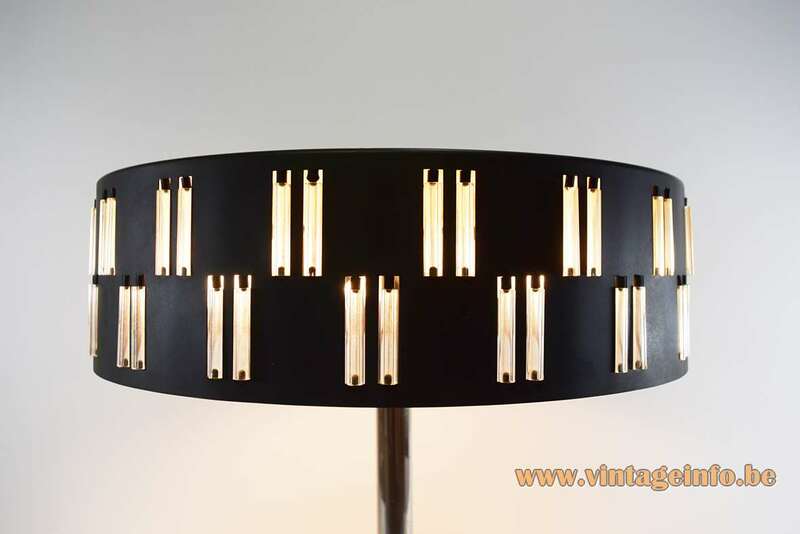 Aluminium black lampshade with many glass tubes inlaid. 3 galvanized iron sockets. Designer: Mr. Petersen in 1966. No information to be found. 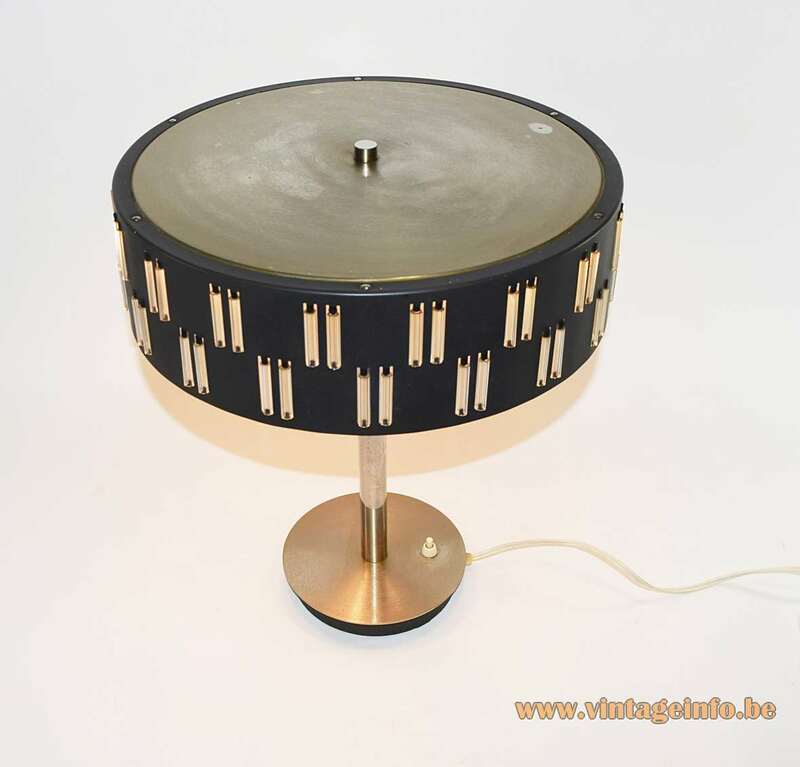 Manufacturer: Schmahl & Schulz GmbH & Co. KG, Barmen, Wuppertall, Germany (Schmahl + Schulz). Other versions: Made in slightly different styles. 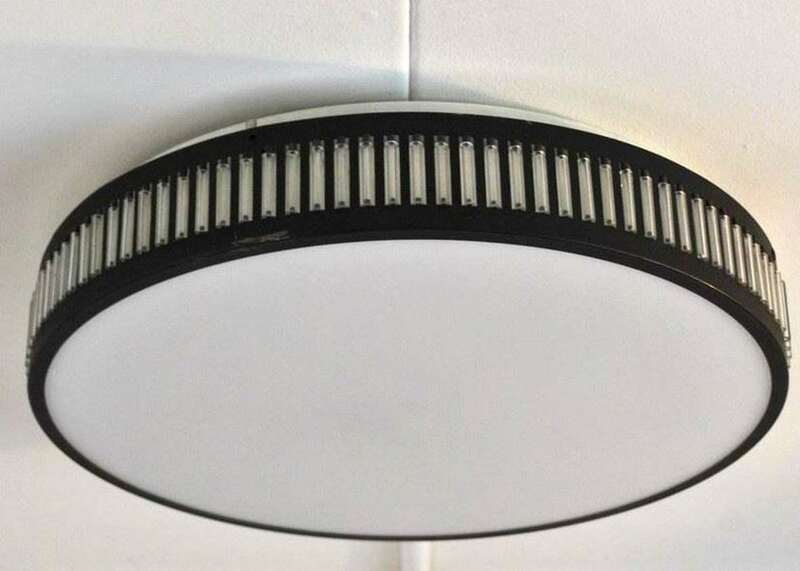 Produced as wall lamp, pendant lamp, ceiling lamp. 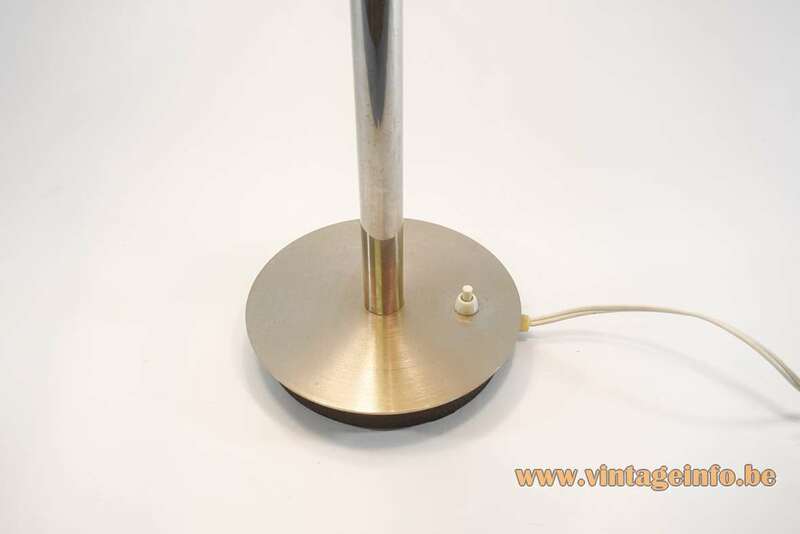 This lamp is model number 4903. 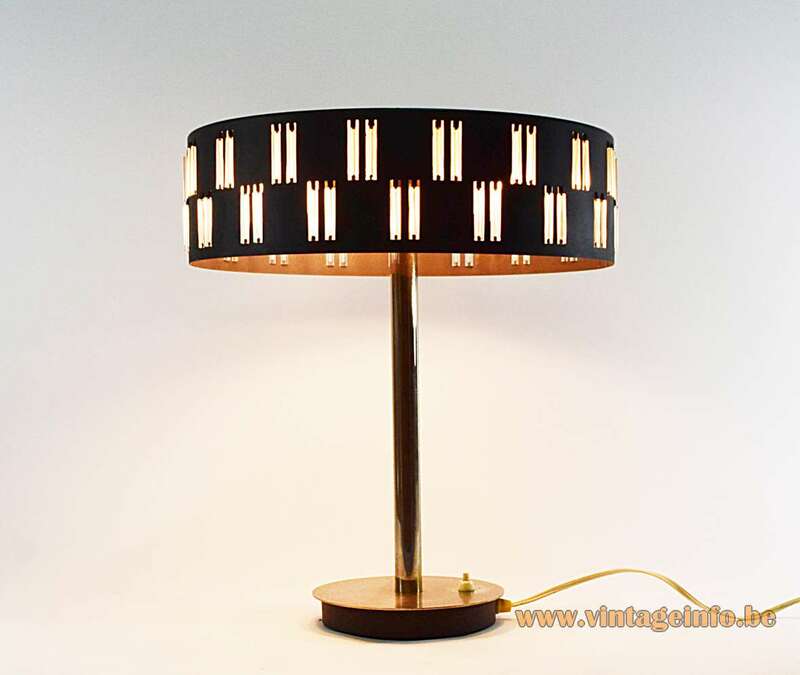 Other companies produced comparable lamps. Among others: E.M. Lamper, Denmark, Philips, The Netherlands, Massive, Belgium. Schmahl & Schulz GmbH & Co. KG Metallwarenfabrik (Metalware factory) was founded in 1880. 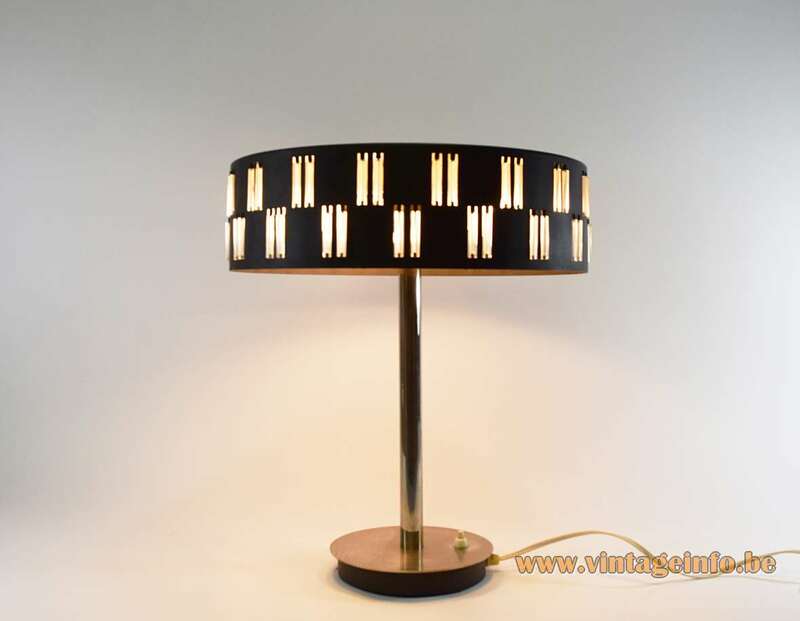 In the beginning the company produced accessories for electric lighting, light switches and so on. They also produced parts for export. 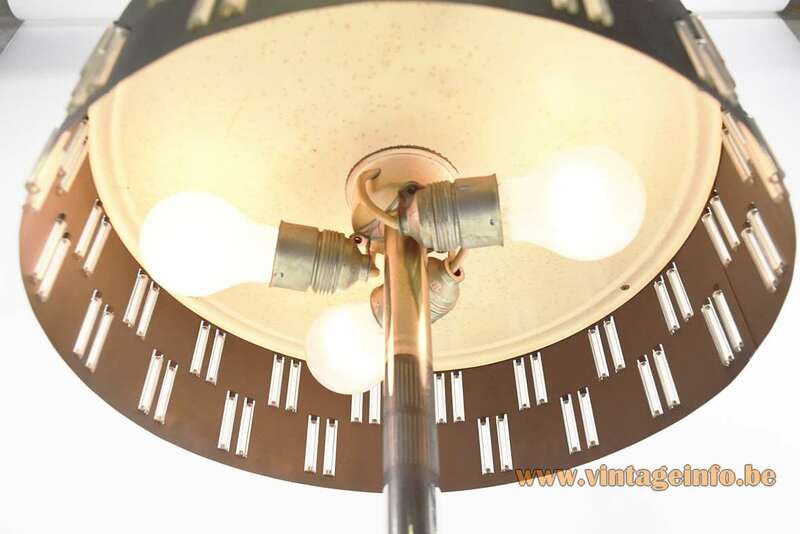 Later on they started the production of wall, table and ceiling lights until the late 1930s. It had the RZM code M1/183 (Reichszeugmeisterei – the purchasing agency of the Nazi’s). Not only the factory produced medals but they also had slaves in the Nazi camp system, as more than 2500 other factories in the country did. 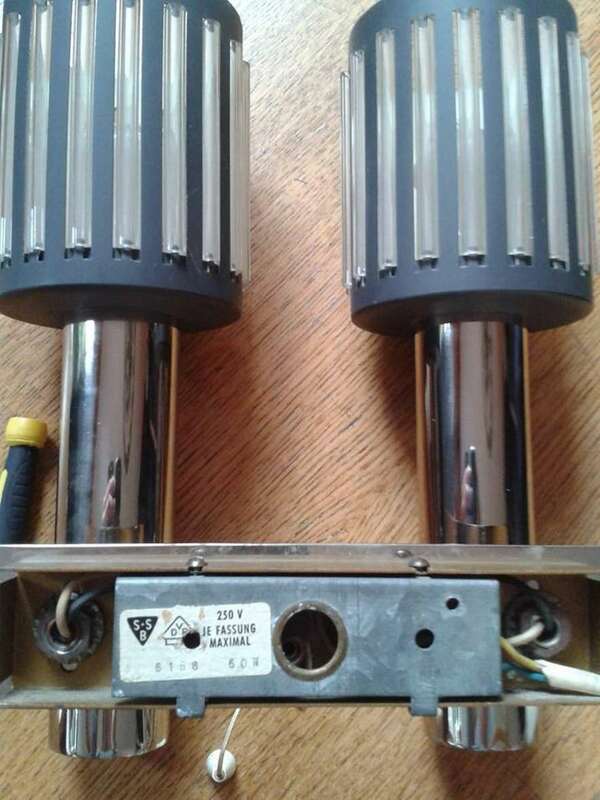 After the war, the company began to produce lights again. The Schmahl & Schulz GmbH & Co. KG Metallwarenfabrik company no longer exists. It is unclear when the company ended business. Wuppertal is a city in North Rhine-Westphalia, Germany. It has a population of approximately 350.000 inhabitants (2017). It is the largest city in the Bergisches Land.